It’s Sunday, which means another great linky party with Amanda and Stacia over at Collaboration Cuties. This is always an opportunity to learn about great books that really work in the classroom. Why not join in the fun by clicking on this link? 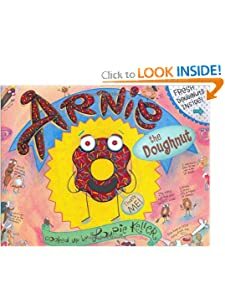 A favorite of my students is Arnie the Doughnut, by Laurie Keller. Arnie’s just too stinkin’ cute to not use. So put yourself and your kiddos in a sweet mood and pull out Arnie the Doughnut today. He’s a sweet treat you’ll find yourself going back to again and again! I’m on a memoir kick these days and am preparing to pull together great mentor texts to provide my novice memoir writers with some support and wonderful examples. I just posted about the possibilities for books like Memoirs of a Goldfish, Diary of a Worm, Diary of a Spider and Diary of a Fly. 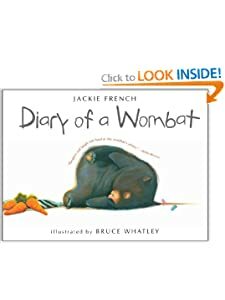 Here’s another possibility for a mentor text when writing a memoir: Diary of a Wombat by Jackie French. Another great feature of this book, for me, at least…a student found this book and recommended it to me. I’ll forever be in the debt of Miss Grayson F. She certainly has terrific taste in literature! Diary of a Wombat has a place in my classroom writing book basket. Have you added it to yours yet? I’d love to hear how you use this book! You’re teaching how to write a memoir in the Writer’s Workshop…you need a mentor text. 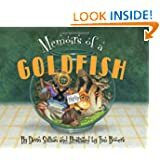 If you’ve never used Memoirs of a Goldfish, by Devin Scillian, now’s the time to check this book out! What can I say? It’s precious! Told from a goldfish’s point-of-view, Memoirs of a Goldfish is a sweet romp through the aquarium, complete with the addition of new fish, a bottom feeder, and a disturbing new friend that may or may not be a part of the scenery. There’s a great little bonus to this book…an interactive app with the same name is available for purchase on iTunes. It’s a pricey little app ($4.99), but it allows you to extend the experience for your writers. Memoirs of a Goldfish is a book that would work equally well as a mentor text in a first grade and a fourth grade classroom. It has appeal that spans many grade levels. Other books that follow a similar vein would be Diary of a Worm, Diary of a Spider, and Diary of a Fly by Doreen Cronin. If you haven’t tried using these mentor texts with your students, I’d highly encourage it as they are very engaging! Can anyone say “Writer’s Workshop Rocks?” It does and so do my kids! They even left sticky notes all over my pants during today’s mini-lesson that said “Mrs. Lutzke ROCKS!” How cool is that? I want to keep them on all day, but they keep falling off, so now they are attached to my computer, making me smile all over the place. Today’s focus is on VOICE. This is one of my favorite skills/traits to teach because this is where you let your writers know that it is so very ok to be themselves and let that float out of the pen during our writing time. In fact, being able to hear your writer’s voice is expected. Expected (with a capital “e”). Some of my very favoritist (my word) authors…the ones I want to EMULATE, are Jon Scieszka and Lane Smith. In fact, any time either one of these knuckleheads are involved in writing or illustrating a book, I must have it…yesterday! Show, don’t tell…in fact, when I finished the book as a read aloud, the kids didn’t really know what the big plans were! We had to really go back to read the tone and dialogue with the skunk hat and the myna bird to get what the boy’s big plans really were. This was an AWESOME lesson, initiated by my writers! Seed ideas vs. watermelon ideas. 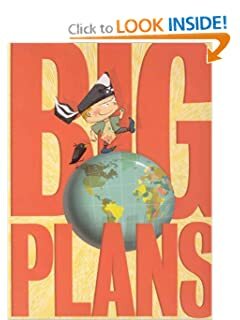 My writers found it very interesting that, while the book really could have become a watermelon story, it really focused in on a singular idea: the big plans of one very small and very driven kid. You know you want to check out this book, so why not hop on over to pick one up for yourself? I’d highly recommend checking out your local library as well, but I know that I picked my book up at Half Price Books for about $3.99. It’s also a “bargain book” at amazon.com. Have fun and devise your own BIG PLANS! 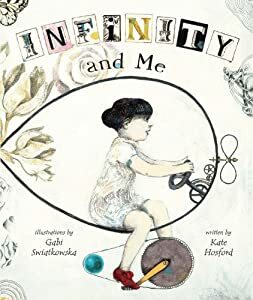 If you are looking for a mentor text with a strong lead, then I think you’ll find Infinity and Me by Gabi Swiatkowska to be a wonderful book. Not only will you find a terrific lead, but I think you will also find the main character’s “I wonders” a terrific way to encourage your writers to consider all of the things they “wonder” as well. The pictures have a lovely and soft “steampunk” quality…making Infinity and Me infinitely engaging. It’s another Mentor Text Tuesday and I’m afraid that I am a bit behind, so I’ll just have to play “ketchup” and share a couple of great mentor texts. In fact, today I’ll include a bonus mentor text…just because! 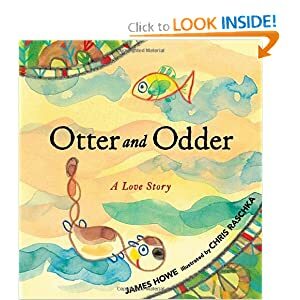 Ok…Otter and Odder: A Love Story by James Howe is just a hair bit goofy. There just aren’t that many children’s books where a carnivore falls head-over-heels in love with his lunch. This is definitely a fresh take on a love story…after all, who wouldn’t fall in love with a story like this? I also adore Chris Raschka’s childlike crayon illustrations. Who wouldn’t? This mentor text has a sweet lead and a voice that pulls the reader under, just like the diving otter. My writers loved this story and it was amazing how many of them tried to emulate Howe’s writing style and add a little humor to their seed ideas. It’s Tuesday, which means I’m posting about another terrific Mentor Text for Writer’s Workshop! Woo hoo! Once this is posted, I’m 2 for 2! 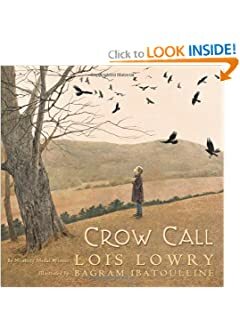 Crow Call, by Lois Lowry is an AMAZING mentor text for so many reasons. 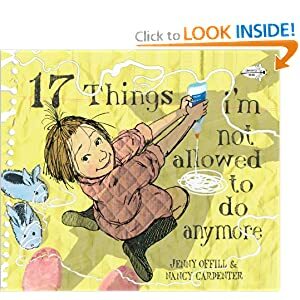 Those who have been lucky enough to hang out with Lucy Calkins over at Teacher’s College rave about this text, so this one may have the tendency to be a bit over-raved about (if there is such a thing!). Oh well…no harm in putting Crow Call out there again, huh? The beauty of Crow Call lies in its simplicity. Rich, earthy-hued illustrations perfectly accentuate this understated narrative about a little girl who gets reacquainted with her father on a short hunting outing. The girl’s body language speaks volumes to the author’s craft of “showing, not telling.” Crow Call is the perfect book for illustrating this technique with young readers. Crow Call is destined to become my “go to book” next year as I plan on using this text numerous times to explicitly instruct my young writers. How have you used this book? I’d love to hear about your experiences with Crow Call!